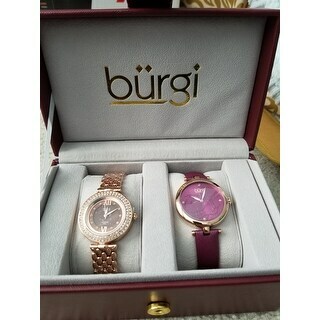 Beautiful watches and the price is right. 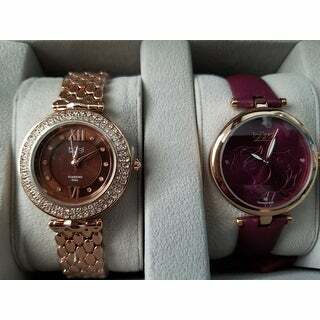 I started looking for a deep purple watch and I ended up with 2 watches for the price of one and I love them both. 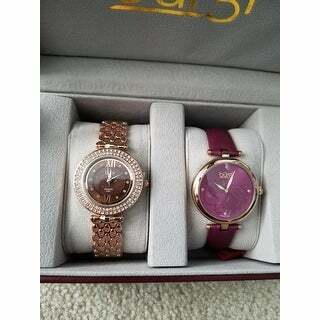 I would say that the gold watch is more evening wear whereas the purple is casual. Love the box also. 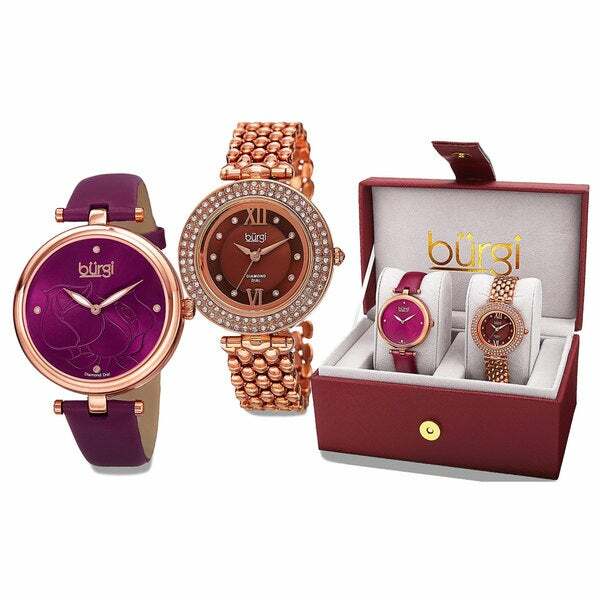 This women's watch set includes two delightful timepieces with incredible style. The leather strap watch features a beautiful floral design on the dial. The alloy bracelet watch features diamond markers. This is the perfect set for every woman's wardrobe. Awesome watch set. I bought this to gift it to my family and m beyond satisfied. Actually speaking, it not only met my expectations but in fact exceeded it. I could have 10/10 to it. A perfect gift any woman would love get it. I bought these watches for gifts. My friends love them so much. Great price but my wife had just bought a watch but forgot to let me know. No offense but she liked hers better she likes white gold and I bought yellow.